gggreatparts has no other items for sale. 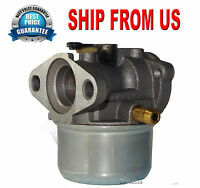 Details about Carburetor For Toro 6.5 6.75 7.0 7.25 HP Recycle Mower 190cc Briggs Stratton 22"
Product received was just as described. Fast delivery and easy transaction. Super fast shipping!!! Worked perfectly!! Taps on air filter mounting holes were poor. Wouldn't accept Toro bolts. Package was more than adequate and shipped quickly. Install went well and lawnmower started on the first pull. How good is that? My lawn mower runs great now thanks!